Have you signed up for the challenge yet? Click here to enroll…it’s free! 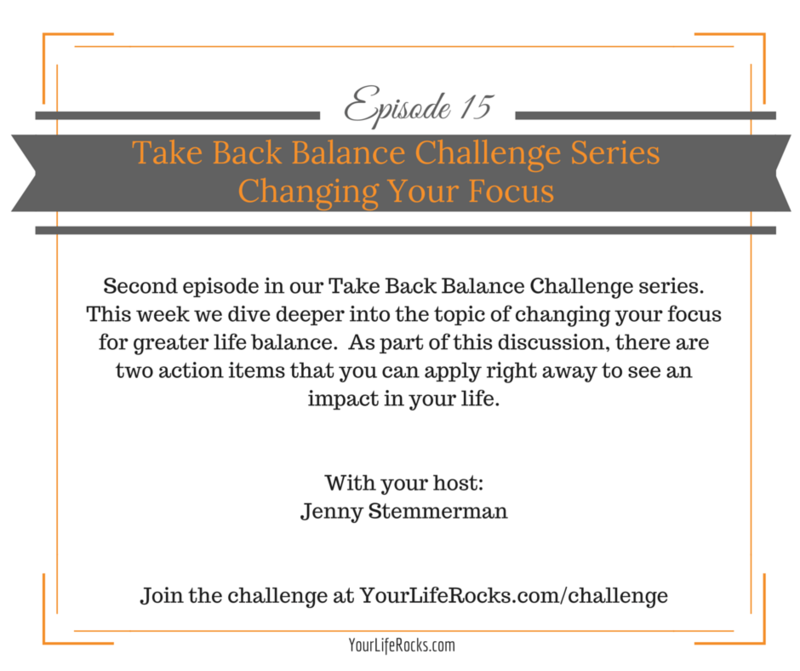 This week we are talking about taking back balance through changing your focus. On a scale of 1-10, how balanced do you feel your life is? Draw out a horizontal line with 1 on one side and a 10 on the other. 10 meaning life in total balance, and 1 meaning no balance at all. Put a line where you feel like you are. Write out everything on the side between where you are and the 10. This is all the stuff that is keeping you out of balance. The negative stuff. Next, write out everything on the side between where you are and the 1. This is all the stuff that is awesome and in balance in your life. Write out these positives on sticky notes and put them where you will see them through out the week. In your planner, put a tally down each time that you feel good about the balance in your life. Keep focusing on the positive stuff. Fix your focus on God. Remember that so much of what feels out of focus are just things of this world. Keep your focus on God and the things that matter for in his kingdom. If you feel out of balance, move closer to him. Read the word more this week, find time to sit in silence and pray, do something that will move you closer to him. Want more accountability toward your goals of more balanced living? Join our Facebook community! Click her to request access.